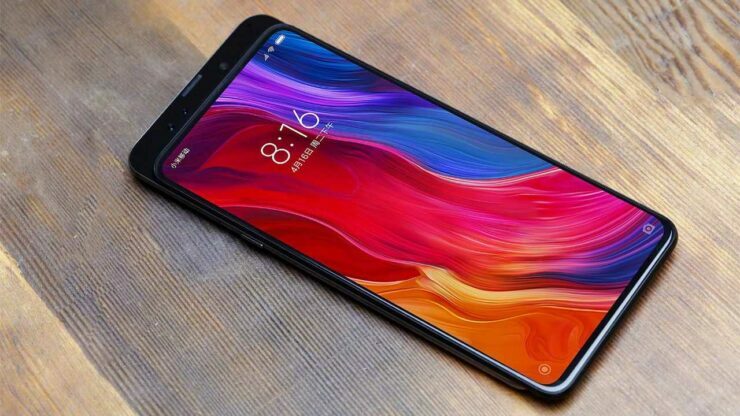 If other Chinese OEMs are pushing to release their bezel-less smartphones, you can rest assure that Xiaomi will have a competitor up its sleeve called the Mi MIX 3. The company has now released a teaser revealing that the handset is going to be unveiled this month, on October 25. However, one leakster had some valuable information to share with us, stating that this would be the first 5G-capable smartphone. 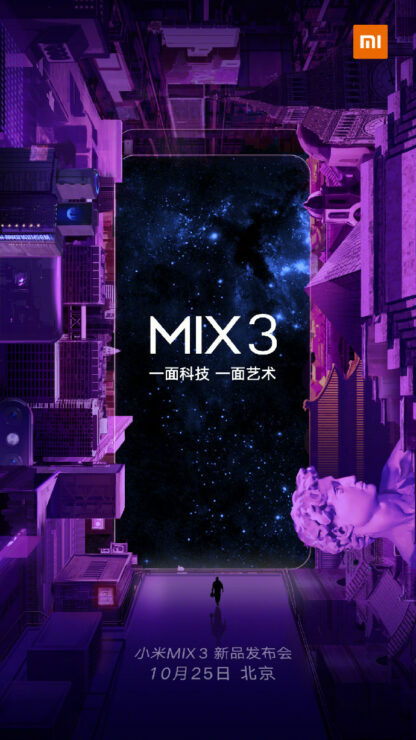 According to the teaser that Xiaomi shared via Weibo page, the Mi MIX 3 is going to be announced on October 25. If you take a closer look at the teaser, you can notice that there is a transparent rectangular shape made just above the borders of the smartphone. This can show the device will have a sliding mechanism and the approach will be similar with what OPPO did with its Find X. However, in order to use this design, Xiaomi’s Mi MIX 3 will most likely feature an OLED screen, which will drive up the price of the handset when it officially launches. Also, we do not believe that there is going to be a notch present at the top of the phone’s display, so either the Mi MIX 3 will rely on an in-screen fingerprint reader, or there is going to be a facial recognition built into the front-facing camera. According to Ice Universe, the Mi MIX 3 is going to be the world’s first 5G-capable smartphone. However, the Snapdragon 8150 has yet to launch, so it is more than likely that the device will be fueled by a Snapdragon 845. Lots of manufacturers are expected to use modems that will be fitted outside of the chipset, and the Mi MIX 3 could be one of them. Other specifications include 6GB of RAM for the base model, with 8GB RAM present for the higher-end variant. Also, the slimmer bezels mean that the Mi MIX 3 will probably fetch a bigger display size. The official launch of the flagship will take place on October 25 and we will be providing you with all sorts of updates at the aforementioned date.